Drivers who are stopped by law enforcement and arrested in New Jersey for driving under the influence will have many things running through their minds in the immediate aftermath of the arrest and as they look forward to the trial. There are significant penalties for a conviction of the traffic violation of DUI. With costly fines, surcharges, a driver’s license suspension and the possibility of jail time, the last thing the defendant wants to worry about is the attorney he or she chooses to hire. For a multitude of reasons, a driver confronted with DUI charges should be prudent and cautious in hiring an attorney. What is most important is to hire one that is experienced in New Jersey law and will be able to serve the clients needs as they arise. Hiring a top-notch criminal defense lawyer might seem like a smart play when lodging a defense for DWI, but that lawyer’s expertise might not be in DUI cases. This could cancel out any noted talent the attorney has for winning acquittals for clients. An attorney who is experienced in this one area of law is a superior choice than a “name” attorney who is a frequent contributor to television shows and has his or her name on billboards. A DUI lawyer who knows New Jersey DUI laws backwards and forwards, is familiar to the judges, and is on a first-name basis with the prosecutors will understand the terrain of a DUI defense. DUI law is specific in not just what the driver is allowed to do, but what law enforcement is allowed to do when investigating a DUI suspect. If, for example, the traffic stop was made without a justifiable reason or if the police officer violated the driver’s rights when administering the field sobriety tests, this can be grounds for a dismissal of the charges or an acquittal. 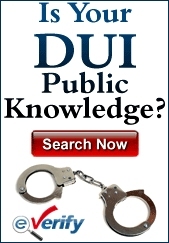 Many people are not aware that officers must follow a set protocol when investigating a DUI. If they deviate from it, an experienced attorney will spot it and utilize that in the case. An attorney without experience in these matters will be costly in the pocket and in court. Drivers who are convicted of a DUI might shrug off the consequences when they’re initially told what they are. Perhaps a driver’s license suspension of three months isn’t that big of a deal to them. Maybe they’re not worried about the fines, surcharges and jail time they might need to deal with if they’re convicted. But as the reality sets in that they’re going to have this mark on their record and will face even stiffer penalties should they get caught again, then they realize the error of their ways in not speaking to an experienced lawyer who could have examined the circumstances surrounding the case thoroughly and found a method to get the charges dropped. Whether or not you think a DUI conviction is a big problem, it’s always better not to have it on your record. Let’s say the officer didn’t wait the required 20 minutes of observation time before administering the breathalyzer test. Or perhaps the machine was not calibrated properly. These are legitimate reasons to gain an acquittal. It’s not a trick and it’s not illegal. It’s the law and an experienced DUI lawyer will look for just these types of mistakes to help a client. An inexperienced DWI lawyer may not know all of the small details that they should be paid attention. With the issues of a DUI conviction hanging over your head, the last thing you want is another concern added to it. If you hire an attorney with whom you’re not comfortable or have questions as to whether he or she knows how to oversee the case, it’s just another problem you’re going to have to deal with. It’s stressful to face DUI charges and an experienced lawyer can help you relieve that stress by deftly handling all the issues that arise – many of which you might not even know about. The prosecution might put expert witnesses on the stand to verify the results of your breathalyzer or blood test. The officer who made the arrest will have to testify. You might have expert witnesses of your own called to dispute the assertions of the prosecution. Would he feel comfortable if an attorney inexperienced in DUI cases was handling the cross-examination of prosecution witnesses and finding defense witnesses? Or would you want someone who has experience in this type of case? These cases don’t replicate what is seen on television with a dramatic encounter between attorney and witness, eliciting a confession and sparking an acquittal, but an experienced attorney will spot holes in the testimony of police and witnesses based on the facts and use that to your advantage. Your lawyer is your employee. They are there to provide a service for you and do the best they can to win an acquittal or get the charges dropped. Treating the decision to hire an attorney seriously and not going by word of mouth recommendations and leaving your future in the hands of someone who might not have the skills to handle this specific case can be a costly mistake. Hiring an experienced attorney could be the best decision you make when arrested and charged with DUI in New Jersey.